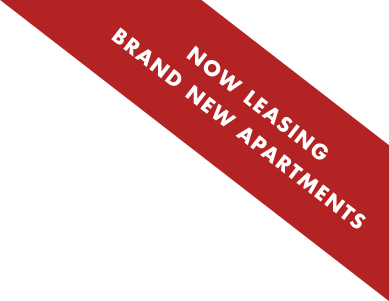 Scotts Mills features large one and two bedroom loft-style apartments for rent. Each apartment remains faithful to the original interior spaces with rustic exposed brick and stone walls, hardwood floors, soaring 14 to 20 foot ceilings with exposed ductwork, and floor to ceiling windows for tons of natural light. The kitchens come equipped with stainless steel appliances and every home has its own full size washer and dryer for your convenience. The bedrooms are bright and spacious with walk-in closets and beautifully finished bathrooms complete with rimless glass shower doors and a separate Jacuzzi tub.